Are you using management tools like enterprise resource planning solution or CRM solution to streamline your organization and business processes? These tools are brilliant in their genre, however, what if we say these management tools will become more potent if merged and save them in the cloud? Of course, it is possible and customizing these will be a great idea as your employees will be empowered by real-time access to the company information from the convenience of a single dashboard and few clicks. 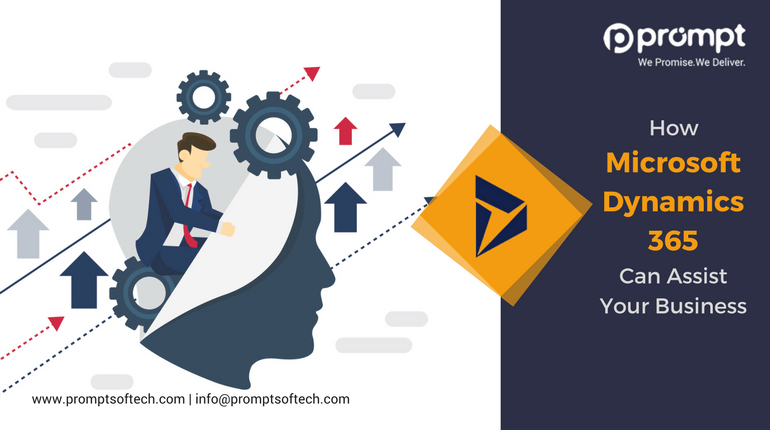 Microsoft Dynamics 365 is a great system that gives this flexibility; however, customizing these tools and this can be done either by hiring Dynamics 365 developer, MS dynamics developer or CRM Development Company. Are your employees using Skype to make outgoing business calls? Nowadays companies deploy this type of cloud-based VoIP system. They might also be using Microsoft Dynamics 365 tools and store all the relevant information in OneDrive or a cloud-based system. Employees might find it difficult to fulfil the laborious task. There may be possibilities of misplacing critical data, the options of losing or deleting data is more when relocating through multiple applications. Dynamics 365 is developed on a data model, which means that the extensions and integrations that are built for Dynamics 365 can be made seamlessly available into any other Dynamics 365 environment with minimal technical efforts. The several versions and business editions are made up of numerous several modules of features as well as functionalities. So, if you are utilizing the Sales module, you can effortlessly broaden your functionality by also switching to the marketing module if the need arises. It goes without saying that smart employees make smart work environment. As a business head have you thought that the applications and tools they are using could drastically impact their performance and ability to function smartly at their best. Here comes the role of Microsoft Dynamics 365, the system seamlessly integrates with all your existing systems under one secure cloud which is compatible with the business intelligence. This feature empowers your employees to work smarter and efficiently. They will be able to make more informed decisions while predicting the forecast and streamline various processes to run the company operations smoothly. One of the significant concerns of business now a day is the amount of information that streams throughout the board. This data is very critical and helps in improving the company offerings. These data that are preserved will not be used to its fullest and will not be helpful to the employees from making accurate decisions. Microsoft Dynamics 365 plays a significant role in evolving the company and taking it to the next step. This will help you in making the right decision for your business. This means serving the customers, increasing the profit margin, being fair to your employees and justifying their efforts. Solutions in CRM are utilized in packaging and deployment of customizations. Modifications are grouped mutually as a complete solution; they can later then be exported and transported from one environment to the other. Microsoft Dynamics 365 impeccably combines with the tools your organization uses on a day to day basis. The best way is always to make modifications utilizing the solutions as this keeps changes collectively and makes it possible to track all the activities. A dynamics 365 developer helps companies in designing, implementing and testing the Dynamic application. A trained and experienced MS Dynamics 265 developer possesses enough experience in the relevant platform and is a problem solver. This means he can take up any complex integration and come out through all the challenges. You can adapt Microsoft Dynamics 365 to more closely fit your company’s industry, nomenclature, and distinctive business processes by tailoring the required service. You can implement and deploy many customizations with minimum technical development support from an expert by just using software tools that are an integral part of the service. Achieving CRM accomplishment doesn’t happen instantly. It is the blend of a carefully designed strategy and in-depth planning. The strategic analysis focuses on your business requirements and objectives providing you with a reasonable definition of winning metrics that will assist you to get from your present state to looked-for later stage using CRM and different interconnected technologies as well as solutions. Not only does Dynamics 365 incorporate your key business processes into one single solution, but Microsoft has worked Dynamics 365 into a complete product suite. Microsoft Dynamics 365 truly has the power to streamline all your business processes and help you achieve the bottom line. Hire a professional Dynamics 365 developer from a reliable company and get your business processes organized. Whether this is your first step into the space of CRM, or you are an experienced CRM expert, Prompt Softech can be your ultimate guide from the switch on, assist you when you are fixed in the centre, or get you back on the path when you are entirely lost. We can help you with CRM Solution evaluation, platform proposal, roadmap tactics and planning, technology review, system optimization evaluation, CRM upgrades and data analysis. We can start from CRM tactics, strategy, design, planning, implementation, training, and support. We have the certified expertise in our technology resources, so you don’t have to worry about the deployment part.